Nov. 24. 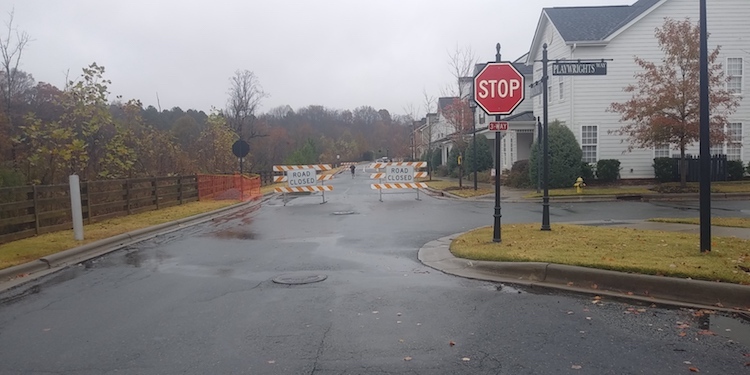 Barricades are blocking Old Canal Street in Antiquity after another sinkhole has appeared alongside a busy street that connects South Street in Davidson to Main Street in Cornelius. The sinkhole in the Antiquity subdivision has been temporarily filled with gravel. The 8- to 10-foot hole is adjacent to the pavement, not in the road itself. There was another sinkhole on Old Canal five years ago that closed the road for an extended period of time. Town officials said Finley Properties—the developer of Antiquity—will bring in a professional engineer evaluate the sinkhole and come up with a plan. In 2013, a massive sinkhole devoured part of the Old Canal pavement, as well as stormwater pipes, underground electric lines and a retaining wall. The local topography is challenging. There’s a steep change in grade from the northern side of Old Canal down to a creek bed. Fortunately for the town, the road is apparently still the responsibility of the developer. Residents, however, are between a hole and a hard place; they will want it fixed fast. Mecklenburg County will have to approve the repair plan prior to work starting. 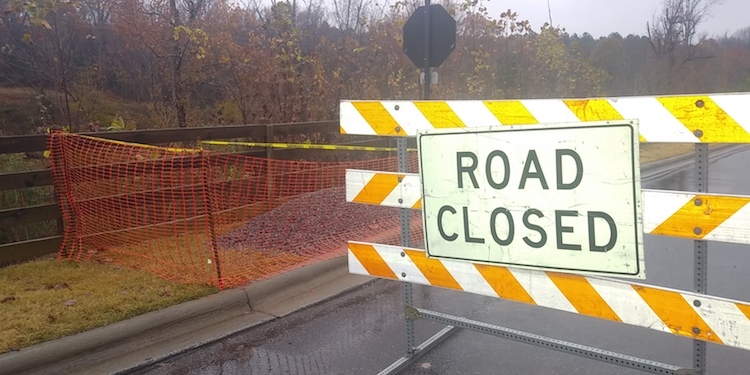 The road is expected to be closed until the county approves the repair.